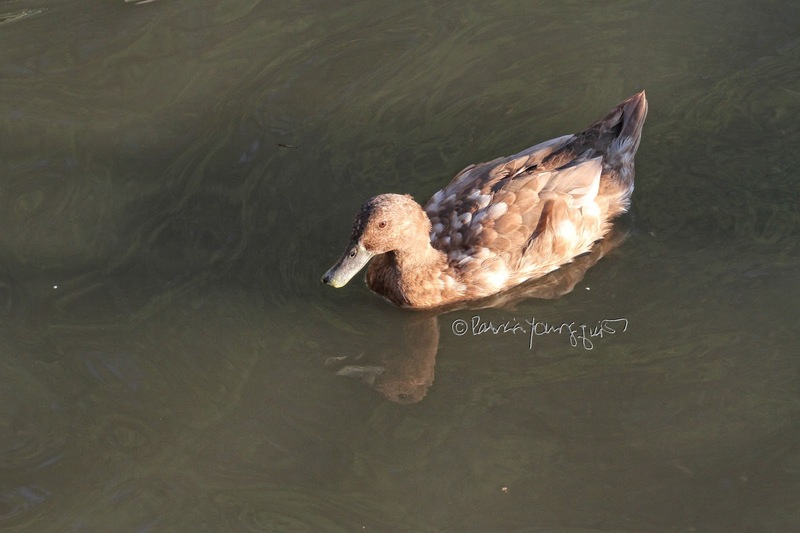 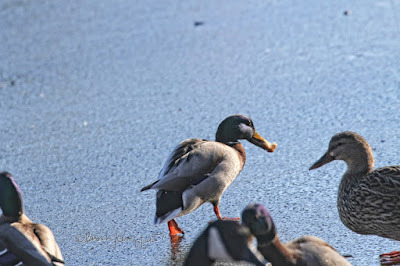 The Last Leaf Gardener: Nothing Lame about NYC Ducks! 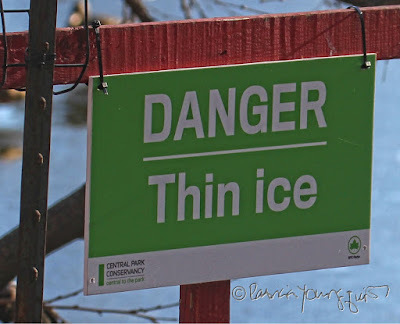 There are a number of warnings signs (such as the one featured in the image directly above) posted near bodies of water in Central Park, including the lake, the Jacqueline Kennedy Onassis Reservoir, as well as Turtle Pond. 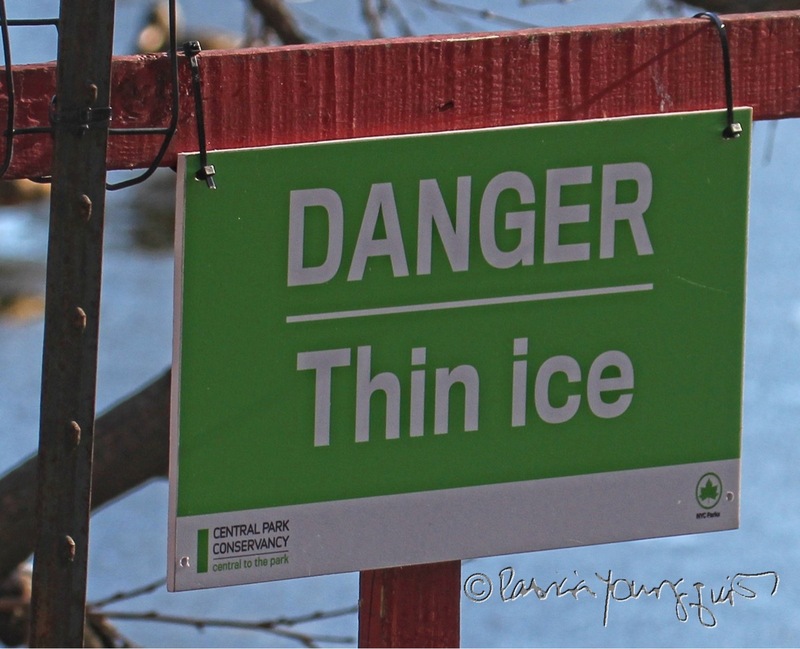 In spite of these signs, there are those who do not heed the warning and walk on the "thin ice." 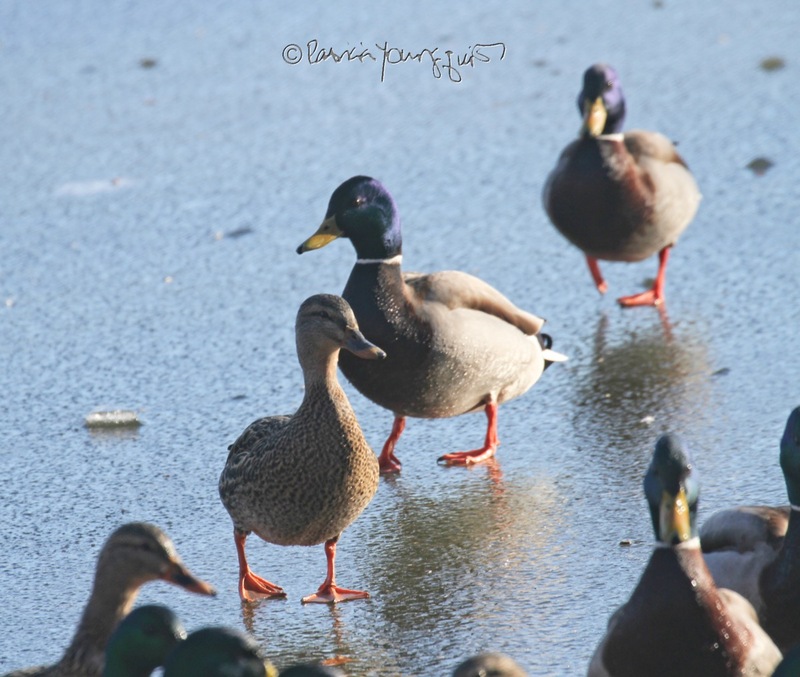 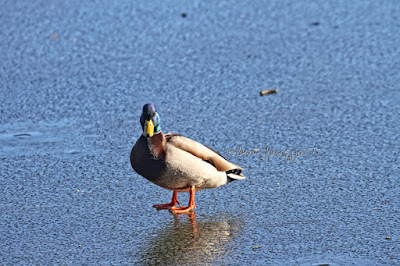 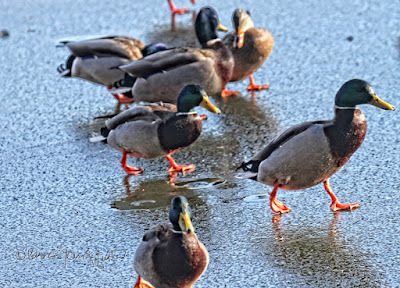 Those who do not heed the warning include Mallard ducks, as evidenced in the next pictures, which feature them walking or standing on the not-so-frozen lake. Upon my seeing the bravery of these Mallard ducks, the expression, "lame duck," came to my mind, even though the term has nothing to do with birds. In any event, they are not the only ones of this bird type whose bravery I've observed. 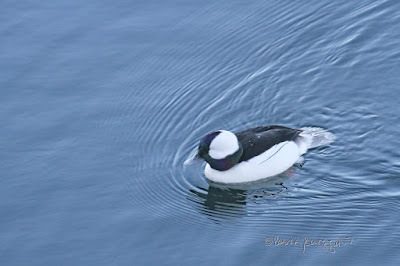 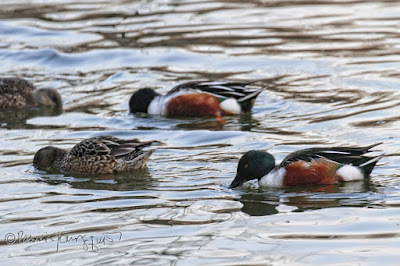 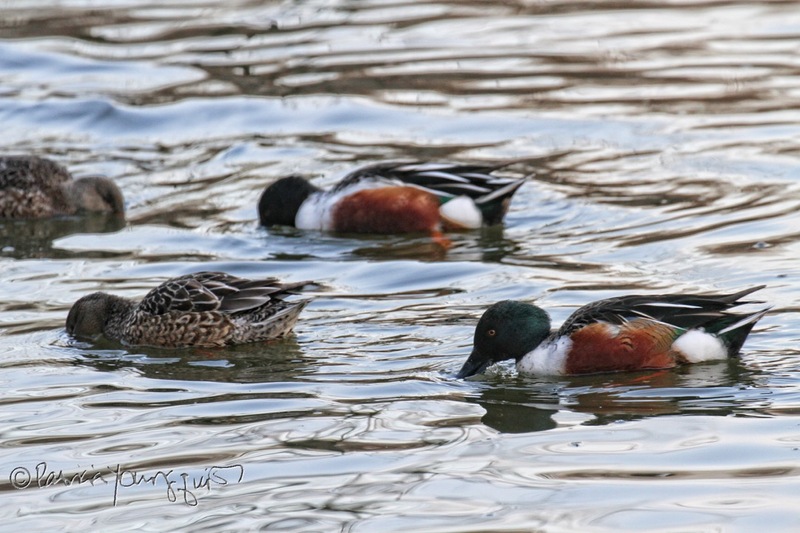 The other duck varieties that I've seen include the Bufflehead, the Khaki Campbell, the Muscovy and Wood ducks. 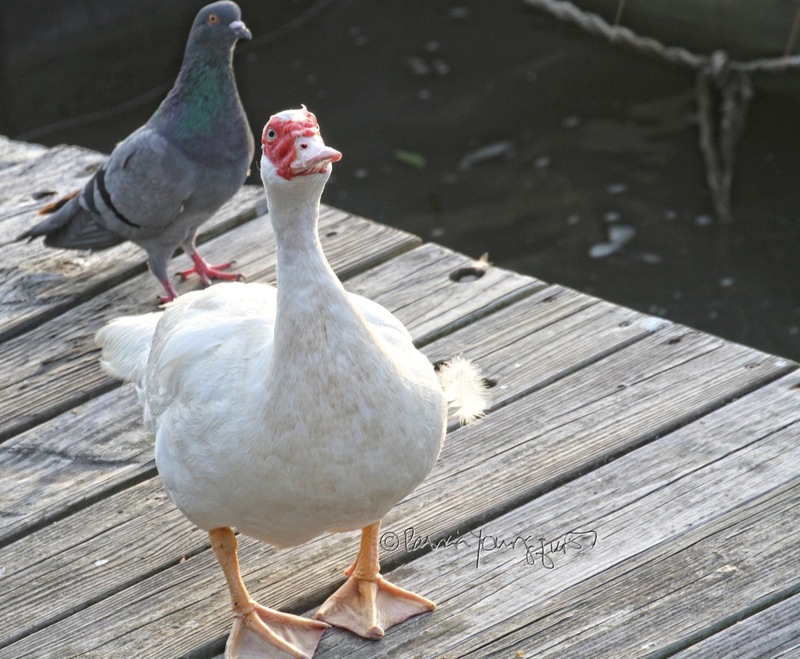 They are pictured (respectively) below. So, as you can see, dear reader, there is nothing lame about NYC's ducks, but that didn't stop folks from celebrating Lame Duck Day earlier this week! The holiday always occurs on February the 6th, which, I wrote about in my 2-6-2017 post here on Blogger.